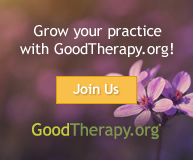 Grounding techniques are powerful tools for managing dissociation and other uncomfortable symptoms of trauma and anxiety. The Grounding Exercise audio tool will guide your clients in a practice session that covers three unique types of grounding: mental, physical, and soothing. Each of these techniques uses a different method to bring attention to the here-and-now, away from thoughts, worries, and anxieties. Education: Think of this audio tool as training wheels for grounding. After enough guided practice, encourage your clients to try grounding without the audio aid. Losing the training wheels will allow more flexibility in how the skill is used. That being said, it can be nice to return to the guided activity as a refresher, or for ongoing practice. Download: You may download a copy of the grounding exercise audio in MP3 format so you can take it with you, or to share with clients so they can practice outside of session.